If you would like to order any of these materials, please click here to order now. Print items marked with ** may be downloaded at no cost under RESOURCES. Prices include shipping and handling if being shipped in North America. 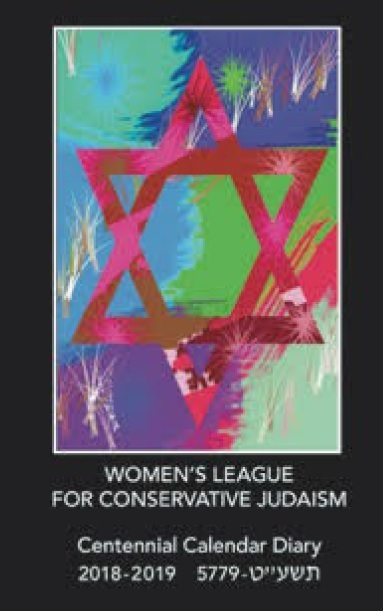 2019-2020 Calendar Diary ($10.00) — Order the most recent Women's League Calendar Diary, based on the theme of Chesed/loving-kindness and featuring a comprehensive listing of holidays and Torah portions, artwork and text by our own community members, and tikkun olam project ideas to enhance your year! SALE! 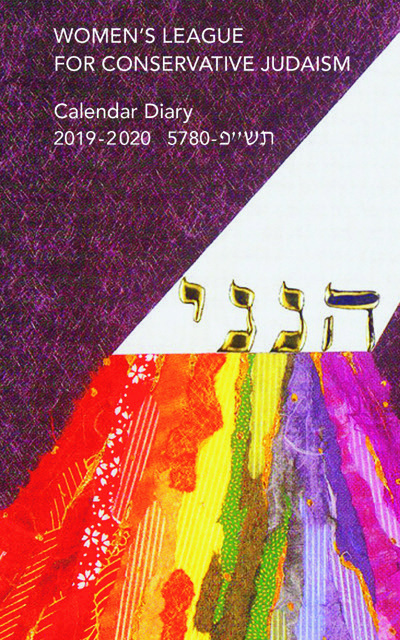 2018-2019 Calendar Diary ($6.00 - marked down from $10) — Featuring artwork from our own members and community, the 5778 edition of our pocket calendar includes Jewish holidays, candle-lighting times, Birkat HaMazon, and useful tips for all occasions. Comes with plastic cover. 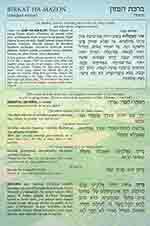 Birkat Hamazon Abbreviated Tri-fold Edition ($5.00) — This laminated card is published by the Rabbinical Assembly. Count Your Blessings ($11.50) — A compilation of the most often recited berakhot (blessings) in Hebrew, English and transliteration. Interdating: A Jewish Parents Guide ($4.50) — By Rabbi Alan Silverstein. Ten questions and answers. Making Your Kitchen Kosher: A Step-by-Step Guide ($6.50) — Easy to follow directions for those moving into a new house, starting out with their first home, or changing to a kosher kitchen. Naming Certificates ($4.00) — Reproductions from Welcome to the World suitable for framing. Simhat Bat Kit ($10.00) — An introduction by Rabbi Nina Beth Cardin, with scripts and readings to create a ceremony welcoming and naming a newborn daughter. 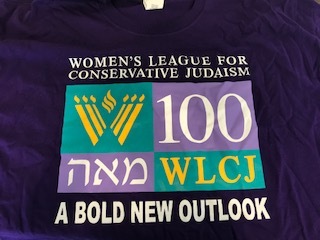 The Women’s League Hiddur Mitzvah Project ($20.00) — A fresh approach to enhancing the observance of mitzvot organized around the Jewish calendar. A Tree of Life: Ecological Cantata ($12.00) — A cantata with original music for mixed chorus; high or medium soloist and piano. Etz Chayim He ($85.00) — Two-year study curriculum for adult education prepared by the Melton Research Center for Jewish Education at the Jewish Theological Seminary. Also available as individual study guides, $17.50 each: Jewish Prayer, The Mitzvot, Shabbat, Rosh Hodesh, The Holidays, Jewish Theology, Women in Judaism, Tallit and Tefillin, Making Midrash, and/or The Israel Connection. Hebrew Word Guide ($12.50) — Basic Hebrew vocabulary and usage in Hebrew, English and transliterations. I’dud L’Ray’im ($6.50) — Caring encouragement for friends of people with disabilities. 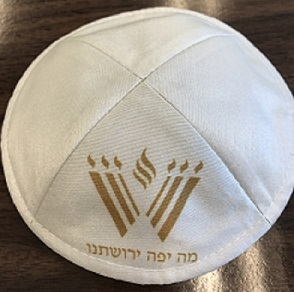 The Mitzvah of Bikkur Holim ($4.00) — A guide to forming a Sisterhood Bikkur Holim Committee to visit the sick, comfort the mourner and build community. Under the Wings of the Sh’khinah: A Jewish Healing Service ($6.50) — A complete service for those seeking comfort and hope in God’s sheltering presence. SALE! 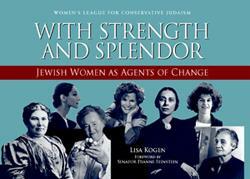 With Strength & Splendor: Jewish Women as Agents of Change ($5 per single book, ONLY sold by the case - bulk order 12 books per carton and shipping is on us!) — Meet 47 remarkable Jewish women who made a difference in every walk of life, from authors to dancers, athletes to judges, teachers to scientists. A perfect gift for a bat mitzvah, graduation, teacher appreciation. 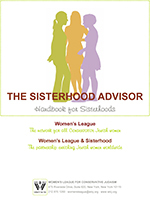 Blueprint for Membership^^ ($10.00) — A complete approach to building sisterhood membership. 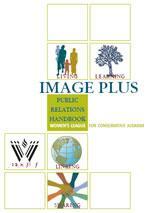 Image Plus Public Relations Handbook ($8.00) — Complete guide to publicity, brochures, social networking, the media, and more. Leagrams ($20.00 per 100) — Can be used in place of commercial greeting cards for congratulatory messages, expressions of sympathy, etc. Covers to package several for same recipient: $5.00 per 12. New Sisterhood President’s Pin from Women’s League ($68.00) — This beautiful, two-toned pin is available to present to any sisterhood president, new or outgoing. The cost is $68.00 per pin. The Sisterhood Planner^^ ($12.00) — Programming throughout the year, including program outlines, public relations guidelines, resources, and much more. The Ways to the Means^^ ($12.00) — A guide for planning successful ways & means projects. The Z’havah Planner^^ ($10.00) — A fresh approach to programming for younger women. Aleph Bet Variations, Second Edition ($11.50) — Eighteen new and revised Hebrew alphabets to be used for needlecrafts and other media. Headcoverings ($11.50) — Beautiful designs in a variety of media.